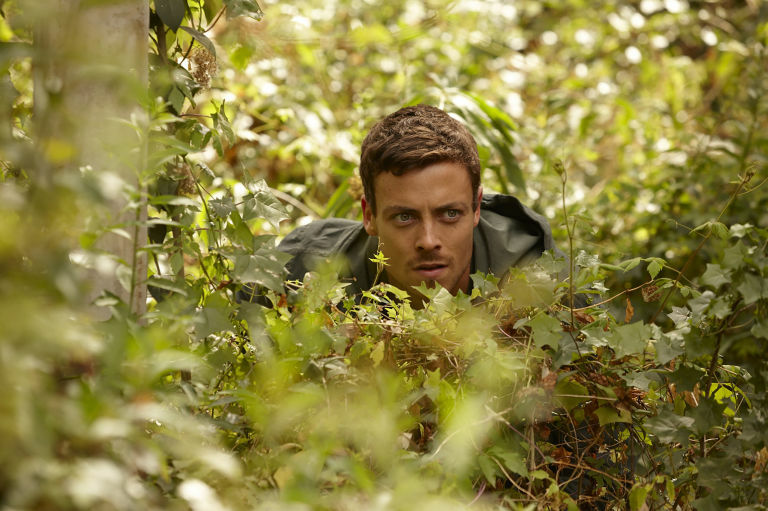 Home and Away's Colby Thorne causes a fatality in the line of duty in these dramatic new spoiler pictures. Colby (Tim Franklin) finds himself in a high-stakes situation later this month after Justin Morgan's daughter Ava Gilbert is kidnapped. Ava is held to ransom by Willow Harris's dangerous enemy Boyd Easton and his family, who demand $25,000 in exchange for her safe return. Feeling terrible that Justin and his family have been dragged into her dramas, Willow (Sarah Roberts) agrees to be used as bait and take charge of the exchange. Willow is secretly backed up by police as she meets up with Ava's captors, but all hell breaks loose when River Boy Dean Thompson (Patrick O'Connor) launches his own unauthorised intervention. This proves to be an unnecessary distraction for everyone and Boyd takes his opportunity to escape from the scene amid the confusion. Boyd rushes to his car and drives straight for Dean, forcing Colby to pull out his gun and fire. With his job on the line for breaking protocol and Boyd's family now wanting revenge, is there major trouble ahead for Colby? Home and Away airs these scenes on Wednesday, May 23 and Thursday, May 24 at 1.15pm and 6pm on Channel 5. Home and Away's Colby Thorne is in serious danger of losing his job next week when his River Boy past gets exposed in the press. 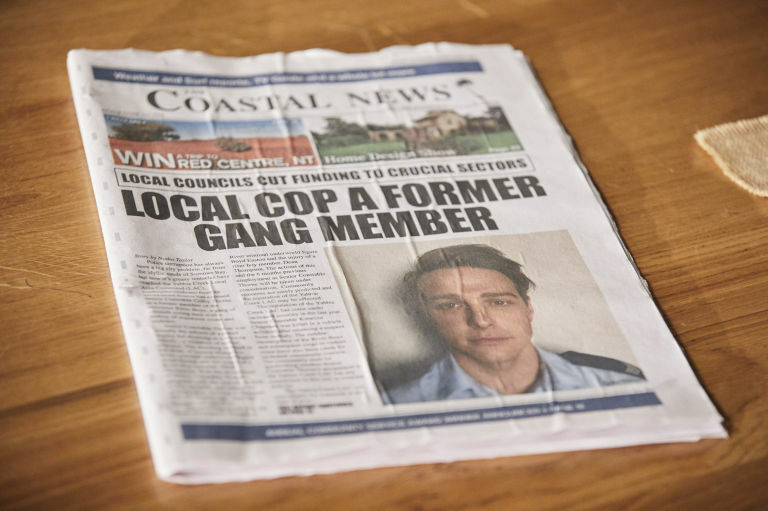 Summer Bay's resident cop is left humiliated when a local newspaper prints details of his history with the surfer gang – and it's all thanks to ruthless schemer Ebony Easton. Ebony has been determined to take revenge against everyone she blames for the death of her brother Boyd, with Colby in particular trouble since he was the one who fired the fatal gunshot. A new opportunity presents itself for Ebony (Cariba Heine) after she overhears Jasmine Delaney and Leah Patterson-Baker discussing Colby's secret past as a gang member. Ebony tips off the newspaper about Colby's secret and he's left in disgrace when it hits the headlines. As everyone in the Bay hotly debates the news that their local policeman's past is far from squeaky clean, Colby's superiors also have a thing or two to say. Colby is told that his case has been referred to the police integrity commission and he should stay well away from the River Boys in the meantime – especially Dean. Unfortunately, Colby makes another fateful mistake when he quizzes Dean about how his secret could have been uncovered, only for Ebony to witness their meeting and sneakily photograph it. When Ebony's photo gets sent straight to the police station, Colby's bosses go a step further by suspending him. Is Colby's career now in real trouble? Home and Away airs these scenes on Tuesday, June 26 at 1.15pm and 6pm on Channel 5. Home and Away's Colby Thorne fights for his life in hospital later this month after Ebony Easton finally exacts her horrifying revenge. Colby (Tim Franklin) is rushed into hospital for emergency treatment after Ebony attacks him and leaves him for dead in shocking scenes. 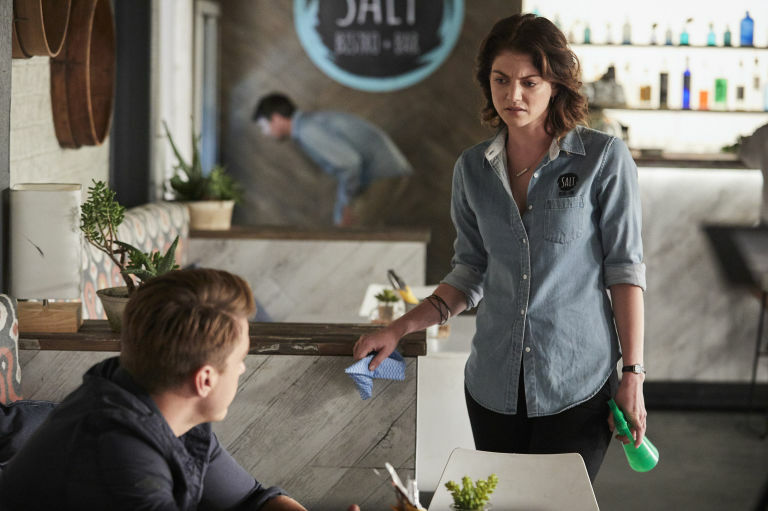 Although Ebony (Cariba Heine) has been biding her time with her revenge plans, she's forced to speed things up when she realises that Robbo is plotting against her. The penny drops when she hears a voicemail on Robbo's phone from his former police colleague Lance Salisbury, who's been digging for information on her. Forced to spring into action, Ebony pays a visit to the pier apartment and catches Colby unawares by hitting him over the head with a frying pan. Once a weakened Colby regains consciousness, Ebony threatens him with a syringe – warning that she'll kill him just like he killed her brother Boyd. Ebony injects Colby with a substance that stops his muscles from working, then makes a hasty exit as he lies dying on the floor. 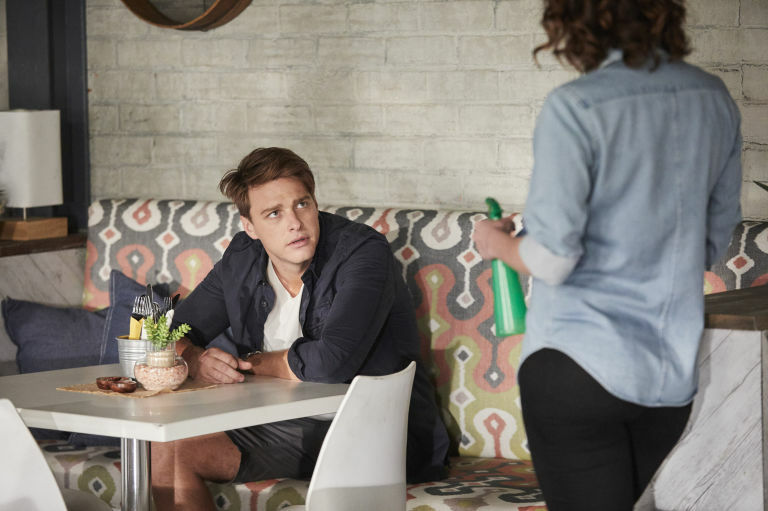 In the aftermath, Colby's friends Dean Thompson (Patrick O'Connor) and Willow Harris (Sarah Roberts) are devastated to find him paralysed and not breathing at the apartment. Dean manages to resuscitate Colby while Willow calls for an ambulance, but when he's rushed into hospital, the doctors warn that he's been given an overdose of muscle relaxant and the next 24 hours could be crucial. Robbo also finds himself in a terrifying situation when he goes looking for Ebony at her motel and gets a very nasty surprise. Robbo is shocked to come across the dead body of Ebony's mum Hazel, along with an empty vial of poison. As it dawns on Robbo that Ebony has killed her own mum to frame him for murder, how on earth will he get out of this one? Home and Away airs these scenes on Tuesday, July 24 and Wednesday, July 25 at 1.15pm and 6pm on Channel 5. Well, this didn't take long! Despite their painful break-up, Colby and Chelsea are still very much in love. This week, the hot cops give in to their feelings and decide to give their relationship another try. In recent episodes, the police officers finally discussed their issues. Colby (Tim Franklin), who was devastated when Chelsea (Ashleigh Brewer) broke off their engagement, realised how much he missed her. Chelsea, meanwhile, feared he had returned to his rebel ways as a member of the River Boys. "She knows about his past and, at the time, he laid it all on the table about being a River Boy," Tim, 27, says. "But she didn't want to be part of it." At the caravan park, Colby reveals how much he's missed his ex and they kiss. "His resistance to her doesn't last long!" Tim says with a laugh. But their romantic moment is interrupted when Colby receives an urgent phone call from Dean. He's in trouble and needs his help. Despite his reassurances, Chelsea fears they're falling into old habits once more. Will she break his heart – again? Chelsea's decision to transfer to Summer Bay's police force in a bid to win Colby back initially caused him headaches both personally and professionally. But it seems Chelsea's move came after some hard realisations about her future. "Originally, she causes a lot of trouble for Colby" Ashleigh, 27, says. "She's a strong character and knows what she wants. She's reached a point in her life where she's like, 'What do I really want? I want Colby to be a part of it." Home and Away airs Monday to Thursday, at 7pm, on Channel Seven. Elsewhere in the Bay, Colby Thorne proposes to Chelsea Campbell after coming clean with all of the secrets from his past. As Colby (Tim Franklin) reflects on how he was engaged to Chelsea before their break-up, he realises how much he wants to make things work with her. Colby knows that he can't pop the question again without revealing the full story of his history with Dean, so he finally takes her to one side to confess all. Chelsea (Ashleigh Brewer) is stunned as Colby recalls how Dean once took the fall for him and went to prison for a crime that he was involved in. Although this was long before Colby joined the police force himself, Chelsea is appalled by the secret – seeing things in black and white as always. Chelsea fears that they're back at square one as she's hiding another one of his shameful secrets, but Colby is losing patience with her disapproval and wants her to show some commitment. Pulling out their old engagement ring, Colby tells Chelsea that he knows what he wants and now it's up to her to decide what their future holds. How will Chelsea react? Home and Away airs these scenes on Thursday, November 8 at 1.15pm and 6pm on Channel 5. Will one Summer Bay couple get their happy ending? Home and Away's Colby Thorne and Chelsea Campbell have reason to celebrate next week as they decide to get engaged again. Colby (Tim Franklin) is delighted when Chelsea shows her commitment to him after learning the full truth about his troubled past. Upcoming episodes see Colby confess to Chelsea (Ashleigh Brewer) about how Dean Thompson once took the fall for a crime that he was involved in. The revelation knocks strait-laced Chelsea for six, as she wonders whether she can live with the guilt of keeping secrets like these. Heaping on the pressure, Colby gives Chelsea their old engagement ring back and urges her to make a final decision about their future. Next week, Willow Harris steps in and defends Colby to Chelsea, hailing him as a great guy who always supports those he's close to. Sceptical Chelsea responds by pointing out this is part of the problem, as his loyalty makes him more likely to bend the rules they're both supposed to abide by as police officers. After giving it more thought, Chelsea meets Colby on the pier, hands the engagement ring back and encourages him to ask again. As Colby pops the question, Chelsea finally accepts and it looks like they're finally back on track. Are the couple all set for Summer Bay's next wedding? Home and Away airs these scenes on Wednesday, November 14 at 1.15pm and 6pm on Channel 5. Can Colby get his loved ones back? Note: This article contains spoilers about Home and Away episodes which have yet to air in the UK, which some readers may prefer to avoid. Home and Away star Tim Franklin has spoken about the fallout from 2018's season finale cliffhanger for the first time. The actor's character Colby Thorne is in for a nasty shock as he discovers that his partner Chelsea Campbell, younger sister Bella and friend Willow Harris have all been kidnapped in a big new storyline. The worrying plot twist aired in Australia last month in the final episode of the year. As Home and Away hasn't yet returned for its 2019 season in its home country, the fates of Chelsea, Bella and Willow have yet to be resolved. As Channel 5 viewers will see in March, the kidnap takes place on the day of Colby and Chelsea's wedding ceremony, a few hours after the happy couple have tied the knot. The culprit is Colby's abusive stepfather Ross Nixon. Speaking exclusively to Digital Spy about what happens next, Tim explained: "Colby gets a call from Ross, the man who destroyed his life. Up until that point, he's been on cloud nine, as everything has been coming together for him after a rough six months. "But then Ross, who's the devil to him, calls Colby and he snaps. He's going to do something rash, as he's caught between a rock and a hard place. Colby has got to make a decision over what really matters – revenge or something else. "I can't say too much on this one. This is the one that I'm really looking forward to people seeing. There's cars, there's stunts, there's everything. "It was a lot of fun to shoot and hopefully it'll be a lot of fun to watch too." UK fans will see the introduction of Bella soon, as Colby manages to track her down after years of searching. Tim laughed: "Bella is a little ratbag when she first arrives! She's a pain in the behind! She's been brainwashed and told all these things by Ross. Bella hasn't been allowed to go to school and she's been told a lot of lies about Colby. She's been indoctrinated by her dad, who's this sociopath and controlling murderer. "So Bella has definitely been affected by that and her conditioning has made her very guarded. She's mature in some ways, yet immature in other social situations that require her to engage. "It's really hard, and Colby has no experience looking after a kid. I love playing it, because he's like a really crappy single dad! "Courtney Miller, who plays Bella, is very talented. She's 22 playing a 16-year-old. On the first day, I knew that she'd be someone I'd have a lot of fun bouncing off for however long we'd be together. She's a lot of fun." Home and Away airs on weeknights at 1.15pm and 6pm on Channel 5. Will he cross over to the dark side? 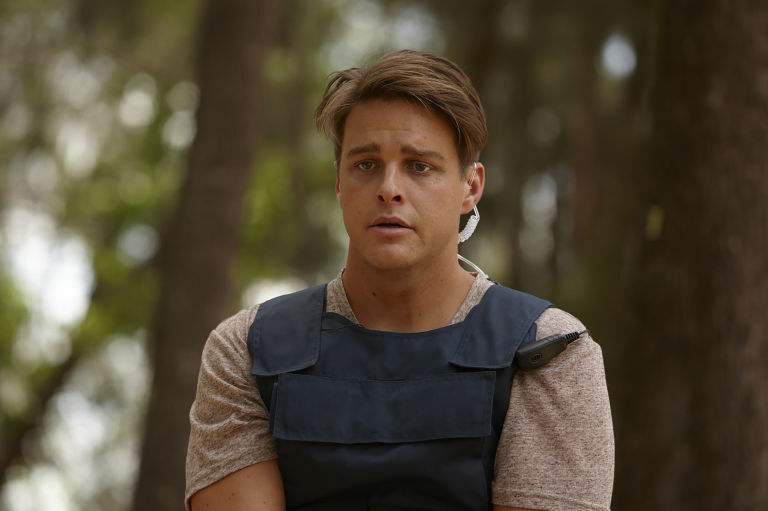 Home and Away's Australian fans have been left wondering whether Colby Thorne will turn into a murderer in a dark new storyline twist. Colby (Tim Franklin) has been given yet another motive for revenge against his evil stepfather Ross Nixon after the villain ruined his wedding day with a horrifying kidnap plan. Last year, Australia's 2018 season finale episode saw Ross (Justin Rosniak) drive off with Colby's new wife Chelsea, his sister Bella and friend Willow. More recently, Willow's life has been left hanging in the balance after Colby and Dean's rescue attempt led to a shooting incident in the woods. 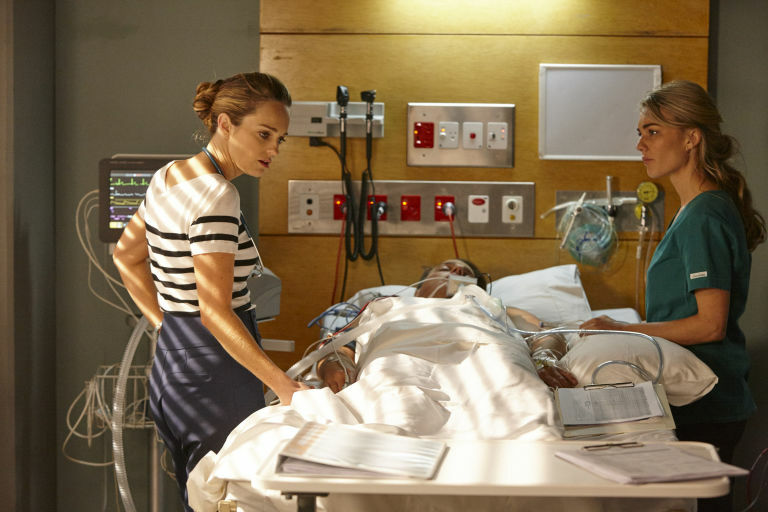 Tuesday's episode for Australian fans (February 19) saw Willow get rushed to hospital following the tragic turn of events, while Dean and Colby focused on tracking down Ross. After a high-speed car chase, Ross was finally cornered by his two pursuers and Dean gave the ruthless murderer a taste of his own medicine by beating him up. Seemingly prepared to go one step further, Colby grabbed Ross's gun – which he'd lost in the chaos – and pointed it straight at him. Will Colby take this opportunity to wreak revenge after Ross previously killed his parents? Ummm , yeah , he shot him last night guys?? Last edited by Rowdydog12; 21-02-2019 at 03:44.